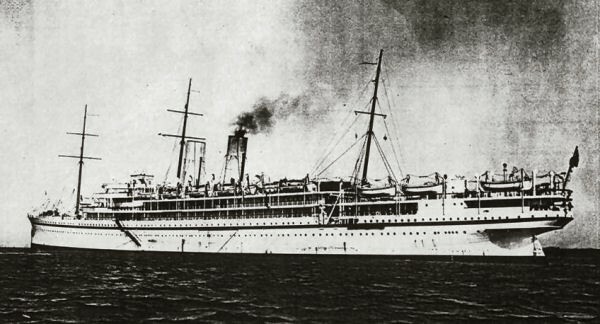 The Antonio was a British steamer built by J Blumer and Co in 1905. On the 7th March 1917 en route from Barry to Cherbourg with a cargo of hay she struck a mine laid by UC-17 (Ralph Wenninger). She sank very quickly killing 11 crew. She now lies 7 miles from Dartmouth in 54m and stands 10m proud. SS Aldershot was an armed merchant ship of 2,177 tons built by Ropner & Son, Stockon-on-Tees. On the 19th September 1918 while en route between the Clyde and Nantes with a cargo of coal and two boilers she was hit amidships by two torpedoes from UB-113 (Oberleutnant U. Pilzecker). One crew member was killed in the initial explosion, but the rest of the crew were picked up by a patrol boat and taken to Dartmouth. Today the Aldershot lies 5 miles ESE of Dartmouth on an even keel. She sits in 57m of water and stands 10m proud of the seabed, and is seldom dived, so remains pretty much intact. Stock Force, built by Dundee Shipbuilding Co Ltd., Dundee in 1917 and operated at the time of her loss by the Royal Navy, was a British Q-ship of 732 tons. On July 30th, 1918, Stock Force was torpedoed by the German submarine UB-80 (Max Viebeg) 25 miles west of Start Point and sank off Bolt Tail, Bigbury Bay. There were no casualties. Despite their ship sinking, Capt. Lt. Harold Auten and some gunners stayed on board and fired upon UB-80 until the end. UB-80 was badly damaged but managed to return home to Germany. Capt. Auten received the Victoria Cross for his action. The SS Farn was a 4,393grt defensively-armed British Merchant ship. On November 19th, 1917, SS Farn, on a voyage from London to Salonica with general cargo, was sunk by the German submarine UB-31 (Thomas Bieber), 5 miles north-east of Start Point, Devon. There were no casualties. In 1980, this wreck was identified as the bell was recovered. Like the Aldershot, this wreck is seldom dived, and as such is pretty much intact, sits upright on the seabed and still looks very ship-shape. SS Medina was a 12,358 ton British P&O Liner built by Caird & Company, Greenock. Built in 1911, she was immediately requisitioned as the royal yacht for King George V and Queen Mary, to visit India for the Imperial Delhi Durbar. She was armed in 1914 and put into service as a mail ship carrying passengers and general cargo between London and Australia. On the 28 April 1917, she was hit by a torpedo from UB-31 (Thomas Bieber) 4 miles off Start Point. The torpedo hit the engine room killing 6 crew, the remaining 411 passengers and crew survived. Today the Medina sits upright in 64 metres of water with the minimum depth to the deck of 52 metres. Salvage work has been carried out on the forward holds to remove copper ingots and passengers baggage. The stern is more broken up and is sinking into the sea bed. 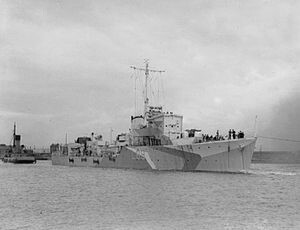 HMS Penylan, a 1050 ton Hunt Class Destroyer, was torpedoed by an E-boat on the 3rd December 1942. The Penylan was built by Vickers Armstrong and was only completed in August 1942. During the attack 36 of her crew were killed. Today she sits in 66m of water and stands 10m proud of the seabed. On the 28th October 1989 the 11,940 ton Pakistani registered Murree was en route from Tilbury to Kerachi when she ran into a storm with hurricane force winds. Some of the three layers of containers that covered her decks came loose and were washed over board. One of the containers caught on a hawser and proceeded to batter the side of the ship. Plates were split and the forward hold started to take on water. The Captain put out a mayday call and a helicopter from RNAS Culdrose arrived to find the Murree's fore-deck already under water. Instead of the 14 crew listed there were 40 men, women and children to rescue. Two more helicopters were used to lift all the passengers clear. The last to leave were two of the helicopter crew who had to jump 30m from the rapidly sinking ship to avoid being sucked down with her. Both were eventually picked out of the water by the waiting helicopter. The rescue was caught on film and covered by the BBC 999 TV Series. Today she lies 22 miles SE of Start Point and sits upright in 70m of water and rises up to 40m; the stern railings are at 60m. This is a very big, intact wreck with lots of structure to explore. The visibility in this area is generally good. The Murree sits on the edge of the shipping lane so requires all divers to return to the shot line.